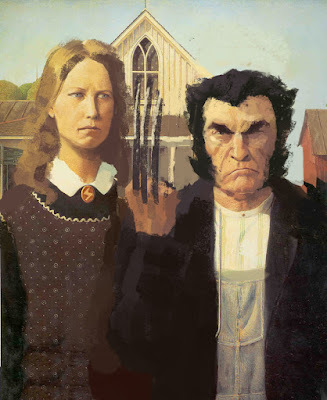 When I was first given the premise of Wolverine Art Appreciation Month, this was one of the first images to pop into my head. Yes, it's totally cliche, but that's sort of the point. I quickly found an image of American Gothic on-line and proceeded to digitally paint on top of it. I received approval from my editor rather quickly, but it couldn't survive the legal department... and so we moved on. I just ended a sentence in a preposition. 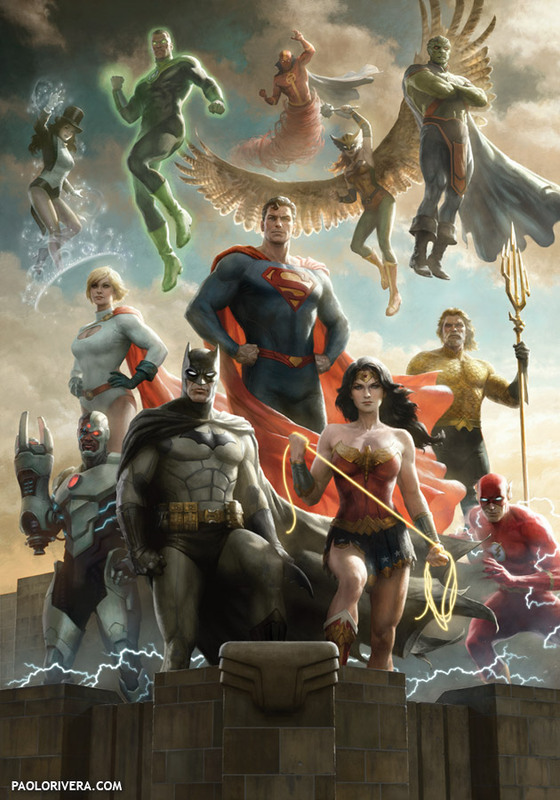 In other news, I'm happy to say that I've been accepted into Spectrum 16, due out this fall. 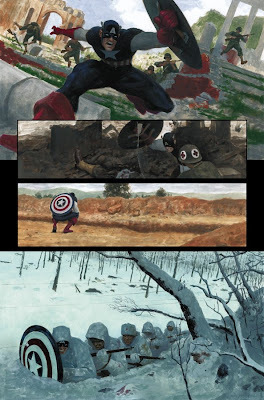 I've got 2 pieces in it, both from Mythos: Captain America. Congrats on the Spectrum thing! Too bad about the American Gothic thing. How did Paul Newman get to use it on his products, I wonder? Congrats on the Spectrum thing. The Spectrum pieces look awesome!! That's awesome man! Congrats on Spectrum. These pieces are fantastic! Heh... awesome. Dare I make a cheesy pun..? Congrats on the Spectrum news! 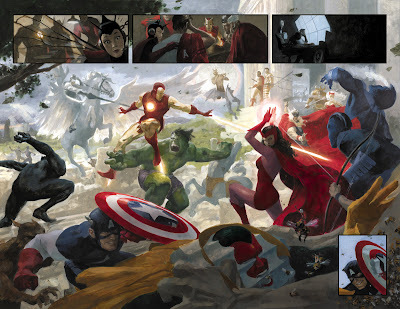 I love that 2 page spread with all the Avengers.